2 Which Building Is Your Favorite? Did you know that the narrowest building in the world is only six-foot wide? Take the Leaning Tower of Pisa, for example—it literally leans four degrees! How’s that for an architectural marvel? There are many other interesting structures out there. Want to know what some of the coolest buildings in the world are? If so, be sure to read the rest of the post! Breathtaking buildings can be found all over the world. Curious to know how they’re made? You can read more here. Fallingwater is designed by one of the country’s most famous architects—Frank Lloyd Wright. Built in 1935, the house stands over a 30-foot waterfall in Fayette County, Pennsylvania. A National Historic Landmark, the Usonian home attracts over 160,000 visitors every year. There are even guided tours! Despite being more than 80 years old, the building still has its original artwork and furnishings. The Sydney Opera House is one of the most distinctive buildings in the world. Designed by Horn Utzon, the iconic structure sits on the water’s edge and overlooks Sydney Harbour. Known for its unique roof structures, the facility consists of several performance venues, which collectively host more than 1,200 shows every year. Many musicians have performed at the venue throughout the years including the late singer-songwriter Prince. Taipei 101 is one of the world’s tallest skyscrapers. Opened in 2004, the building includes two high-speed elevators that are capable of going over 1,000 meters per minute! 101 floors above the ground, this iconic building contains a shopping mall, two observatory decks, as well as a private VIP club. The tower also houses restaurants and offices. Every year, it attracts thousands of people with its New Year’s Eve firework display. Malaysia’s Petronas Towers are the tallest twin skyscrapers in the world. As such, it only makes sense that they’re listed in our list of architectural wonders. Designed by Cesar Pelli, the buildings feature a sky bridge, which connects the two towers more than 500 ft above the ground. In order to visit the skyscrapers, visitors must first purchase tickets, which cost around $20 per person. 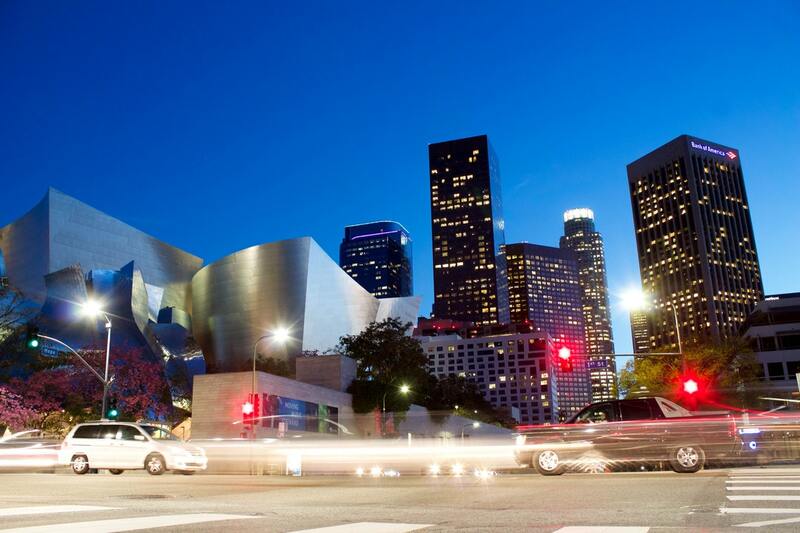 The Walt Disney Concert Hall was designed by famous modern architect, Frank Gehry. It opened its doors on October 24, 2003. Located in Downtown LA, the venue includes a large pipe organ, which was gifted to the County of Los Angeles by Toyota. In total, there are more than 6,100 pipes! Over the years, the hall has been featured in many movies including Iron Man Alvin and the Chipmunks, and Furious 7. So there we have it—some of the coolest buildings in the world. If anything, they all have unique architectural designs. What’s your favorite building? Feel free to share with us in our discussion forums!